New with tags attached but hanger and tags damaged because they were still attached and accidentally got left out in the rain. Slight sun discoloration. 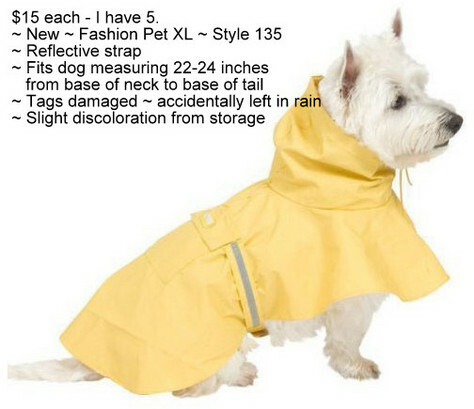 This fits a dog 22-24" long, measured from base of neck to base of tail.